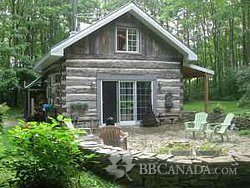 Private rustic pioneer log house! 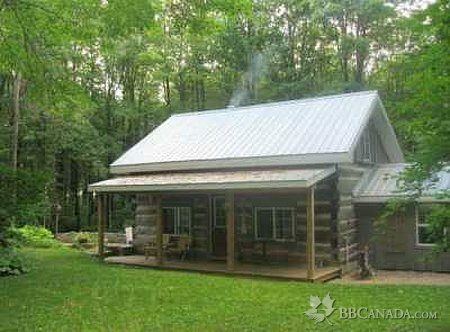 Open May 1st to Oct 31st Private:you rent the entire cabin from $125 to $150/couple. Single night min $150/suitable for 2or 3 couples(call for group or wkly rate). Kids under 10 & pets $25 each per booking . Book now-May 1st through to Nov 1st. Welcome to Maxwell's Cabin Studio,Gallery and Bed & Breakfast. 'Open May 1st to Oct 31st' Our rustic pioneer cabin was originally built when the land was purchased from the Crown in 1852 .. Revive your creative inspirational self at this beautiful retreat. 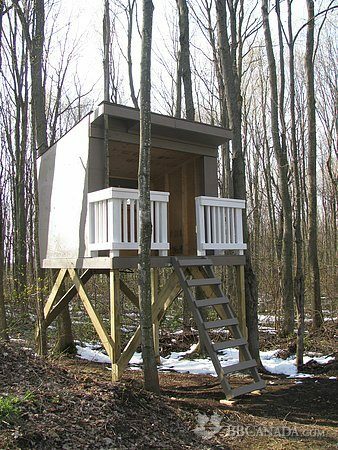 Hike through the cabins 50 acre hardwood bush or the Bruce Trail along the escarpment, or out to 'Old Baldy', See the fall colours of Beaver Valley. Sit and relax on your own private flagstone patio with that first cup of coffee and listen to the birds and nature that surrounds you .... enjoy your breakfast at one of the small cafe tables or cook your supper on full size BBQ. Give your children the unique experience of living in a 'pioneer' log home ... experience first hand the life of the pioneers - stepping back into the past with some of the conviences we offer today along with treehouse and tire swing! 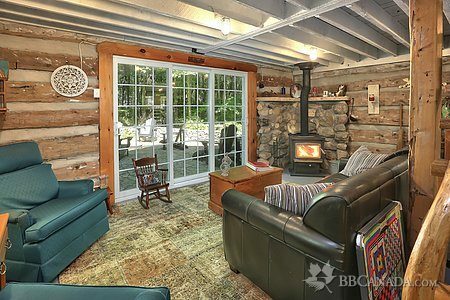 Picture your evening sitting with a book and your favorite music curled up beside the woodburning glass front stove, or share stories with your family and build memories. 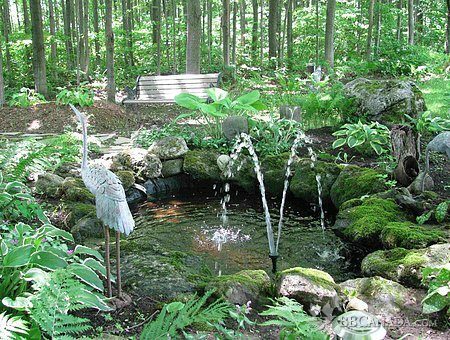 Stay at Maxwell while you visit Markdale, Flesherton, Feversham, Collingwood, Thornbury or Meaford - only 30 mins away - enjoy museums, fine dining, live theatre, shopping, parks, scenic caves, Georgian Bay or just relax and enjoy the gardens! Cancellation : 100% credit towards your next booking for cancellations with 72 hours notice. Seasonal Information : Available May 1st to October 31st.